One of the most feared commanders of the now-demobilized FARC rebels has been released nine years after she surrendered to authorities. The former 47th Front commander had been convicted for kidnapping, forced displacement, homicide, robbery, forced disappearance, illicit recruitment and gender-based violence that left 4,500 victims. She received judicial benefits after demobilizing in 2008 under conditions imposed by former President Alvaro Uribe. “Karina” completed eight years of alternative punishment last year with her compliance entitling her to special consideration under the Justice and Peace law. However, having the high-profile guerrilla who had an almost $100,000 bounty placed upon her head by the FARC in 2008 opted not to apply for release over fears for her safety upon leaving the camp. 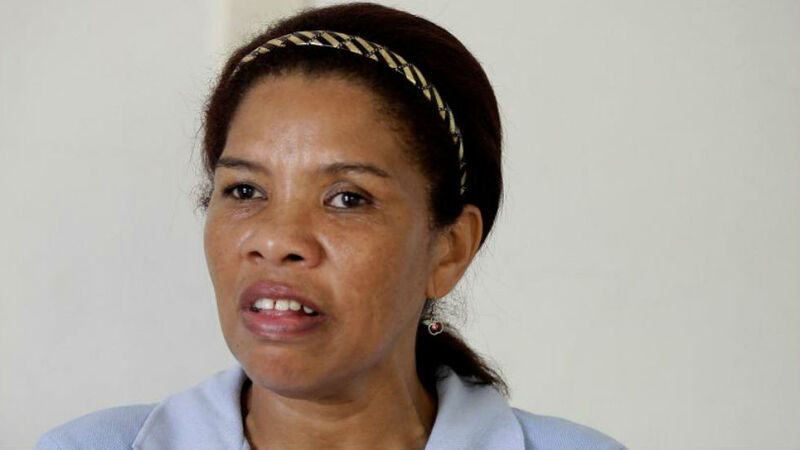 Mosquera was born on August 15, 1963 and claimed that she joined the Marxist inspired FARC rebels at the age of 16 due to living in conditions of extreme poverty and misery. She spent all her adult life within the ranks of the FARC moving between the provinces of Caldas, Risaralda, Antioquia and Choco. Operating under the alias “Karina” she quickly gained a fearsome reputation within the ranks of the FARC in the 1980s when her front allegedly assassinated Uribe’s father, a claim she and the FARC deny. “Karina” participated in the massacres of La Chinita in 1994, Churido in 1995 and Carepa in 1996. She also took part in several guerrilla offensives that killed more than 30 soldiers. Other crimes such as homicide, damage to another’s property, terrorism, rebellion and kidnapping for ransom (8 incidents involving 158 victims between 1998 and 2002) were attributed to the former leader of the front that controlled major drug trafficking routes to the Pacific. In her testimonies, Karina accused the FARC of executing a systematic forced abortion policy and acknowledged having practiced several of them. In 2013, she confessed to her participation in 218 gender crimes. She has however denied several other claims that have been fired at her including accusations that she castrated her enemies. Her taking part in the Justice and Peace program allowed her to seek a reduced sentence of eight years. During her release hearing, the judge agreed to release the former guerrilla commander for good behavior. She has vowed to continue to cooperate with the Colombian justice system. Other FARC commanders are expected to appear before a transitional justice tribunal agreed in a peace deal almost a year ago.